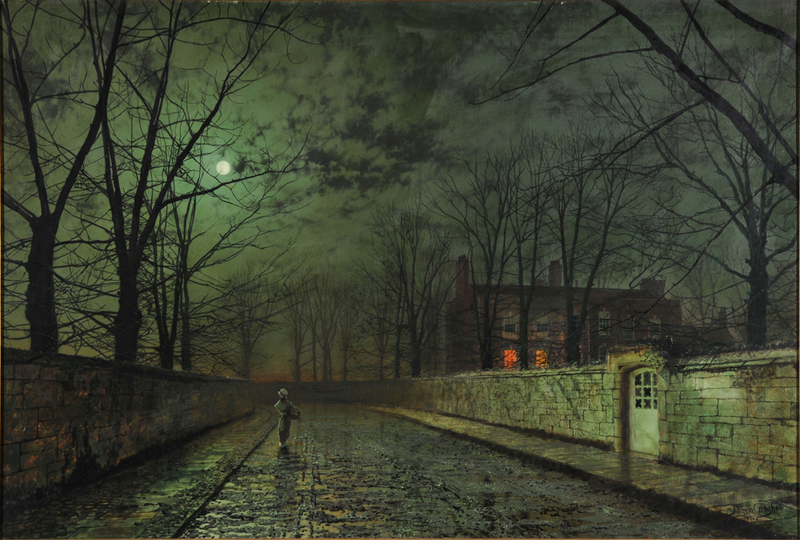 John Atkinson Grimshaw – The Mercer Art Gallery HARAG 53. Title: In the Gloaming. Also known as A Yorkshire Home. Date: 1878. Materials: oil on canvas. Dimensions: 82.9 x 121.9 cm. Nr. : HARAG 53. 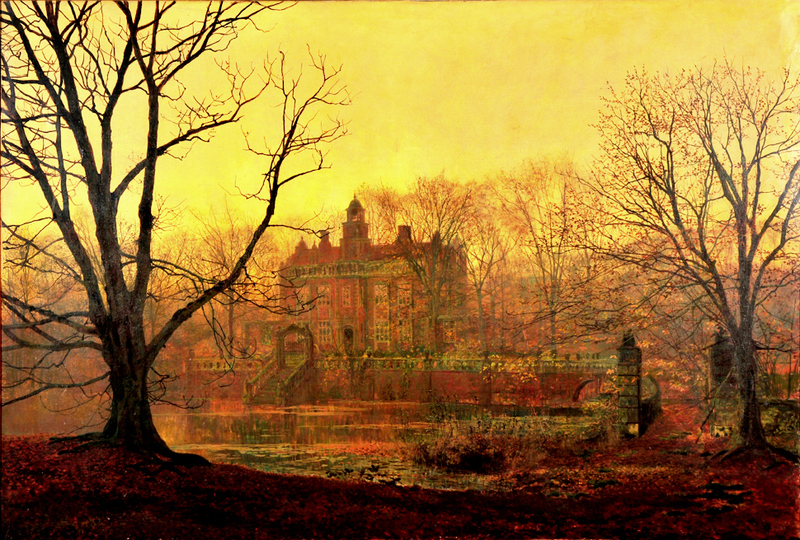 Source: http://www.harrogate.gov.uk/PublishingImages/AGIntheGloaming_tiff.jpg. I have changed the light, contrast and colors of the original photo. Materials: oil on canvas. Dimensions: 80.8 x 120 cm. Nr.:? Source: www.harrogate.gov.uk/PublishingImages/AG-SilverMoonlight_….